Have you ever fished in Texas? If you haven’t, you should look into it! As you may or may not know, I am a native Texan and currently reside here. I live in central Texas, just about an hour north of the Texas state capitol of Austin. I live in Belton which holds about 20,000 people. Texas holds lots of species of fish and a so many of them are very overlooked. I was told once that “Texas only holds catfish”, and that couldn’t be further from the truth! Throughout Texas you can find so many different fish including bass (largemouth, smallmouth, guadalupe, white, striped, hybrid, spotted), carp (common and grass), smallmouth buffalo, redhorse suckers, fresh water drum, crappie, sunfish, gar, rio grande cichlid, and even trout. Yes, Texas has trout! 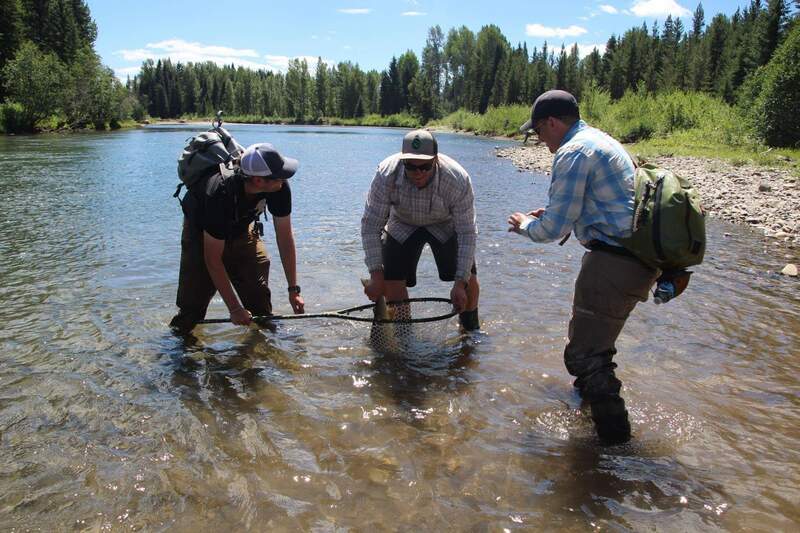 We have a year-round trout fishery that holds rainbow trout and brown trout. Along with this, the Texas coast is an amazing fishery that has an abundance of saltwater species. On our coast you can find redfish, speckled trout, ladyfish, flounder, jacks, Spanish mackerel, kingfish, sheepshead, and even the occasional snook or tarpon. Now, where can you find these fish throughout the state? I am going to share some of my favorite places to fish in Texas and what you can catch as well as what to use. The first place that I want to talk about is one of my favorite places to fish. Locally known as “The Guad”, The Guadalupe River is Texas’s only year-round trout fishery. I fish the Guad in the town of New Braunfels, Texas. This river fishes best during the winter months, but is still fishable the rest of the year. Here, you will primarily catch rainbow trout, brown trout, largemouth bass, smallmouth bass, Guadalupe bass, redhorse suckers, stripers, and carp. When I’m searching for trout in the Guad, I usually always use either Whitlock’s Red Fox Squirrel Nymph or an egg pattern as a dropper and Pat Dorsey’s Top Secret Midge as my anchor fly. If I am targeting stripers on this river, I will use an intermediate fly line and my fly of choice is usually a double deceiver or Pat Cohen’s ManBearPig. The same usually goes for targeting bass here as well. In the Summer time the bass will slam top water bugs, so I will almost always have a popper on during the warmer months on the Guad. 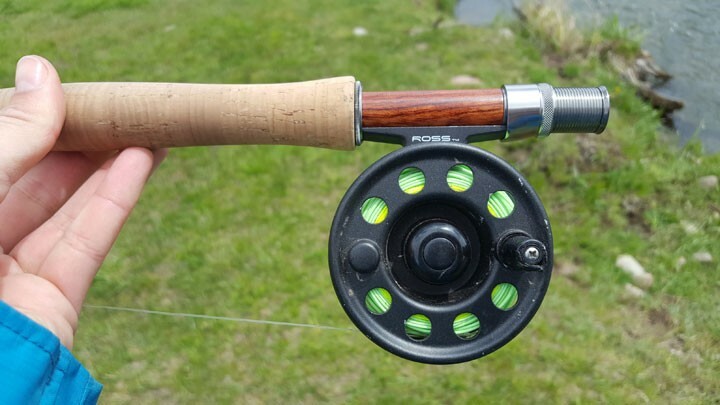 On average I like to use a 5 weight graphite rod here when I am in pursuit of trout but for targeting stripers, I use a 7 or 8 weight! Those guys get big. Sometimes if I am going to the Guad to just do a quick float to catch a few fish (nothing too big or too serious), I will throw a 5 weight glass just for fun because on a glass rod, every fish feels like a 10 pounder! My perfect flow on the Guad is right around 300 cfs. 150 cfs is still very fishable on this river, but not really for floating it. When it’s as low as 150 cfs, you can see fish a lot easier and it makes for pretty easy fishing. 500 cfs is super high and I try to stay off the water during this high of a flow because well, I’m a klutz. Even a wading staff doesn’t help me during that high flow! I would say 300-350 cfs is a good number for me on the Guad. I stay at 3x tippet and never use anything smaller for trout because the technicality of this river isn’t very high, and the fish are usually pretty hungry. For bass, I use straight 20lb mono. Those guys don’t care. Not only is the fishing good on the Guadalupe, but the scenery of the Texas Hill Country really puts the icing on the cake. The next place I want to talk about is the Colorado River. This river runs straight through Austin, Texas. This river holds some pretty massive fish. Not only the fishing is good, but the whole vibe of the river is just my favorite. I like to float this river in my FlyCraft inflatable raft and throw streamers for bass. In the Colorado you’ll find the majority of bass as well as some freshwater drum and carp. My favorite species to target in this river is largemouth bass and I like to do so with small to medium sized streamers. I really like to use go-to, all-around staple patterns for bass like Clouser Minnows and baitfish patterns. During the summer months, like usual, I like to throw topwater flies and see them just get demolished by bass all day long. My favorite time of the year to fish the Colorado is from March to about July. On this river I usually throw a heavier rod just because my chances of catching a good-sized fish is pretty high! Since I’m targeting bass and I know they are aggressive and fight hard, I use a 7 weight graphite so that I can toss big hairbugs and streamers. I really like my Winston Boron III for this river paired with my Scientific Anglers Amplitude Grand Slam fly line. This river for the most part is pretty deep, but there isn’t a lot of current. The banks get shallow in some areas, but other areas have undercut banks. I really like to fish those shallow banks during the bass spawn which is March-April because the bass will come in shallow and just demolish topwater! Next I want to talk about fly fishing on the Texas coast. I am fairly new to the saltwater fly fishing game, but I am becoming addicted. My personal favorite place to fish on the Texas coast is in Rockport, Texas. You can pretty much fish anywhere along the coastline and catch fish, but I like to fish in Rockport the most. 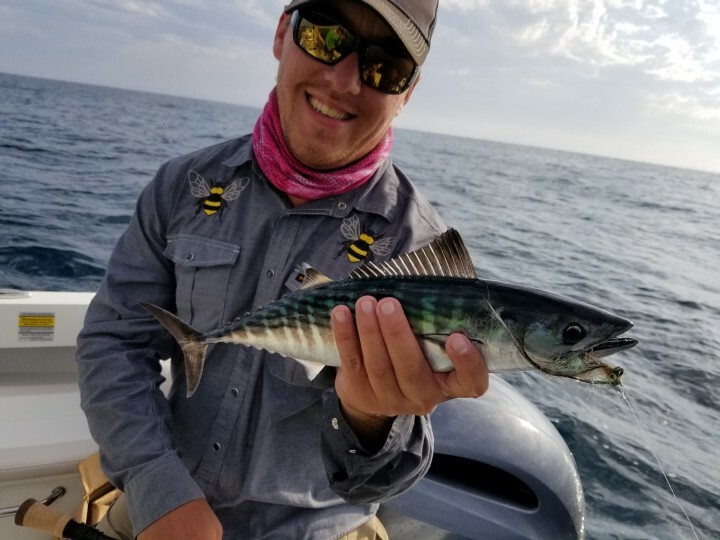 A lot of times it’s a bit difficult to be able to fish on the coast without a boat, but there are still ways to find fish on foot. I like to fish the surf a lot as well as sometimes getting a guide and getting back into the mangroves to hook up with some giant redfish. 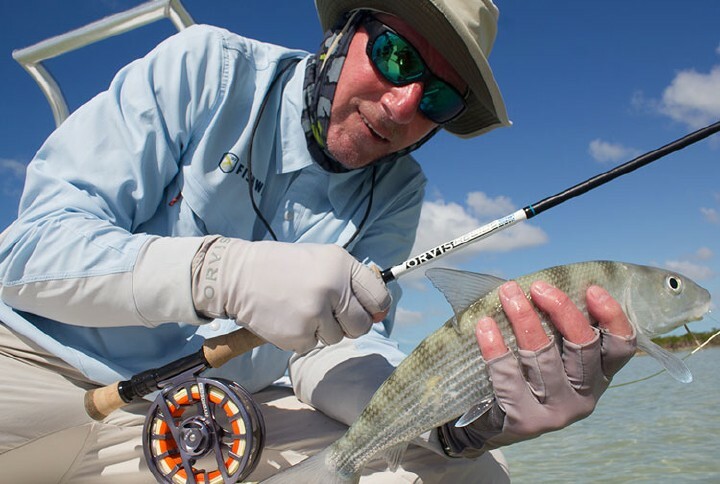 In the surf I use my 8 weight graphite rod which is medium-fast action, but preferably you should try to find a fast action rod because the wind can really make it tough to cast. I use an intermediate fly line (usually my Scientific Anglers Intermediate). Within the proximity of Rockport there are other small towns like Port Aransas and Aransas Bay that have good fishing as well. In Port Aransas, there are multiple jetties that lots of people like to fish off of to find giant bull reds as well as Spanish mackerel and big sea trout. My favorite jetty to fish from is the Port Aransas north jetty. It is sometimes a bit windy but if you work hard, you will most likely be rewarded. Again I like to use an 8 weight graphite to fish off of the jetty because of wind. Here, I use Scientific Anglers 300 grain sinking fly line to get it down as far as I can because the jetty water is pretty deep! The picture shown is a snook that I caught in the surf of Port Aransas. Catching snook in Texas is pretty rare, so I am still extremely proud that I found this guy! For pretty much any saltwater fishing I usually always throw a black/purple crab, a mullet imitation, or a shrimp pattern. I tie a lot of my own saltwater patterns to make sure that I get a really good quality hook (these fish will break poor quality hooks within seconds), and also because my flies usually get torn up really quickly during a trip, so I don’t usually like to break the bank buying shop flies when they’re most likely going to get torn up within a few days! Texas holds so many fish, and a wide variety too. I know that to some, Texas may seem like a swamp that only holds catfish, but here in Texas we have a lot to offer! If you ever think about coming down to Texas and want more information, you can send me a message on Instagram at @tx.flygirl and I can give you any information you need! A major plus of coming to Texas is that we have the best food around. That was SO Texan of me to say, huh?